Typically I wouldn't wear a color combo like this. I am definitely not a red and black girl, but I had to support my friend's band SoulSwitch. Check out their page here So inspired by one of their songs named Cold Kiss I named this mani, since the base is red and it made me think of lipstick. Thoughts? Feelings? Concerns? 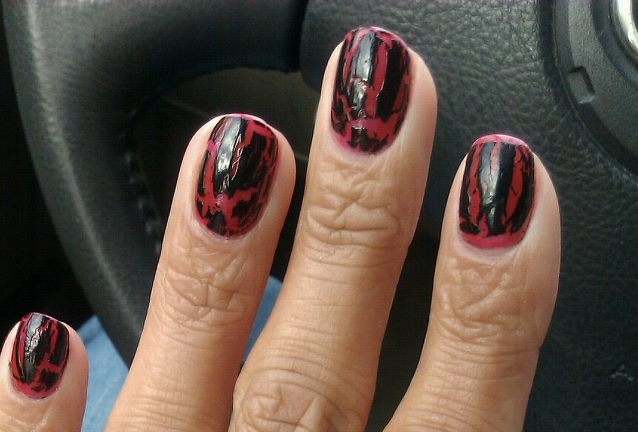 Revlon "Right Said Red" and SH Crackle "Ink Splatter"